Martin Luther King was born on January 15, 1929, in Atlanta (Georgia, USA) in the family of the pastor of the Baptist church. At birth, he was given the name Michael, but later the boy’s name was changed to Martin. He studied at David Howard Elementary School, and then at Booker Washington High School. In 1944, at the age of 15, he passed the exams and entered Morehouse College in Atlanta. Then he became a member of the National Association for the Progress of Colored People. In 1947 King accepted the rank and became an assistant to his father in the church. After graduating from college with a bachelor’s degree in sociology in 1948, King entered the Crozier Theological Seminary in Chester, Pennsylvania, and in 1951 received a bachelor’s degree in theology. The scholarship granted him allowed to enter the postgraduate course at Boston University, where in 1955 he became a doctor of philosophy. 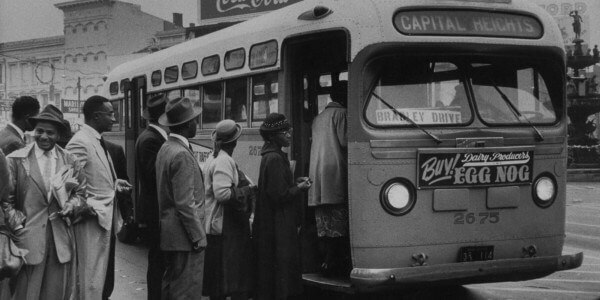 On December 1, 1955, after a long working day, the tailor’s assistant, Rose Parks, boarded a bus in Montgomery, Alabama. After one white passenger, for whom there was no free place, entered the bus, Rosa Parks and her neighbor in the eleventh row were ordered to vacate, but she refused. The police were called in and the woman was arrested. A one-day boycott was declared on December 5, and as a result of the meeting, the Montgomery Improvement Association was formed. 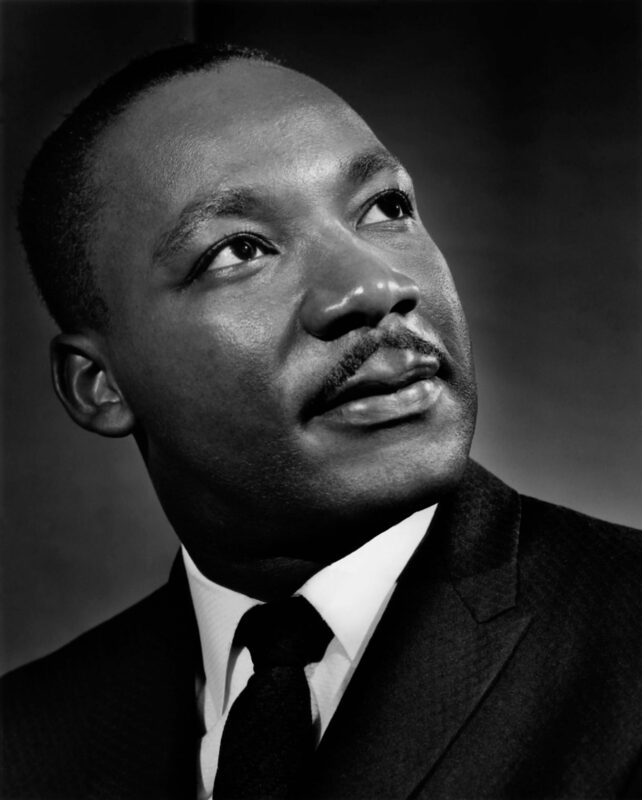 26-year-old priest Martin Luther King was chosen as the head of the association. Despite the personal difficulties of the participants, shelling, and imprisonment, the boycott lasted a whole year. About 40,000 black people participated in it. And even after his home was attacked, and King himself and more than 100 boycott members were arrested for “trying to interfere with the bus,” his steadfast politeness and commitment to non-violent tactics aroused respect for the movement and discredited the supporters of segregation in Montgomery. When the district court opposed the abolition of segregation, the petition was filed with the Supreme Court. The latter decided to declare a division on the basis of race in public transport outlawed in November 1956.